Bloodborne: The Card Game – The Video Game on Your Table! Bloodborne: The Card Game is a board game based on the video game Bloodborne, where players fight through labyrinths and tombs, in order to kill monsters and take their blood. Bloodborne: The Card Game is a risk management game, for 3-6 players, in which team thinking and good strategy are required. Players start with some basic weapons, which they will upgrade during the game, so as to improve their fighting combos and abilities. Every round, a monster chosen at random attacks players, who must fight back as a team. Each one of them plays a card from their hands at the same time trying to kill the monster. Then players collect blood from the monster, depending on how much damage they have done. Monsters can fight back by rolling dice that can inflict great damage. Players can fight for as long as they want, but if they die in combat, they will lose everything they have achieved to that point. They can choose to leave the combat, in order to save the blood they have collected. The blood that has been collected gives you victory points. 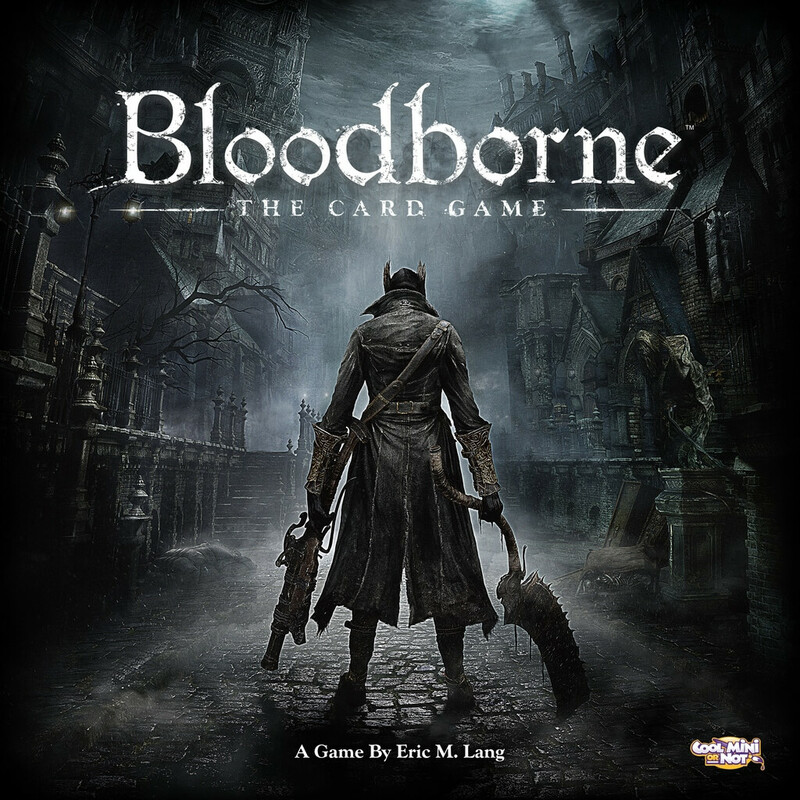 Bloodborne: The Card Game has been designed by Eric M. Lang, who said that he tried to take the intensity of the video game and give it to a board game.